A lot of time is spent in human life. With that time, many moments are spent in everyone's life. Which can not be easily forgotten. Many of us try to remember the wonderful moments behind us. In the time of different thinking we are human beings, we can not forget a lot of things, we try to remember many moments of our memories. So I shared a memorable moment in my heart. This is the moment the last year, which is our joy travel experience. 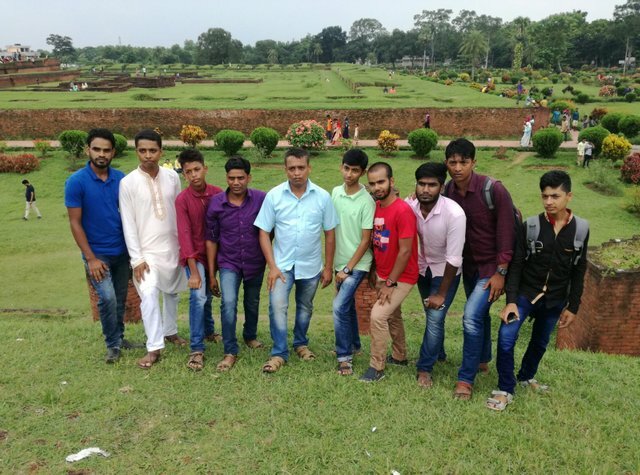 This place is named "Comilla Kotbari Shalbon Bihar" We went to the fun of the Eid on the occasion of friends and enjoyed many experiences. Actually people who do not like travel can not find such people. All people love traveling more or less. In every country there are many tourists visiting different places of the country, so we went there. The place is really awesome. We were all fascinated by what we saw there. In fact, Bihar means the palace of the kings of the erstwhile era. Where kings lived. Due to the absence of the kings, there are ruins. Here are many tourists from abroad to visit. Just like we have come here to visit and here we have water park, Buddhist temple, Salban bihar, all we have visited and shared among all. I shared some pictures among everyone. Congratulations @sagor5828! You received a personal award!